Selwood's new branch in Birmingham, UK. 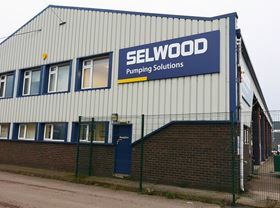 Pump rental specialist Selwood has opened a new branch in Birmingham, UK. The branch, Selwood’s 20th pump rental centre, will enable additional capacity to service major projects in central England. The Birmingham facility is part of an ongoing programme which has seen Selwood invest heavily in its pump rental fleet and branches. It is the third new centre in as many years, following branch openings in Aberdeen, and in Saltash, Cornwall. “The Midlands is a key region for Selwood, and the opening of this new branch in Birmingham underlines our commitment to the region,” said Richard Brown, managing director – Pumping Solutions at Selwood. Selwood works closely with its sister company Siltbuster, which specialises in on-site water treatment and was acquired in 2018.